Everyone else – or at least a handful of Finnish theatre bloggers – is doing it, so I'm going to do it too. Make a list of theatrical productions that have left a lasting impression on you. Here, in chronological order, are nine productions that have meant a lot to me. I'm stopping at nine because the list doesn't flow naturally beyond that. Out of the theatre I've seen so far, these nine are the truest and clearest standouts. I've been an ABBA fan for pretty much as long as I can remember. (I can't remember how that started though. No one else in my family listens to ABBA. Mysterious.) I was awfully excited when the world tour visited Helsinki, and seeing the show was a magical experience. 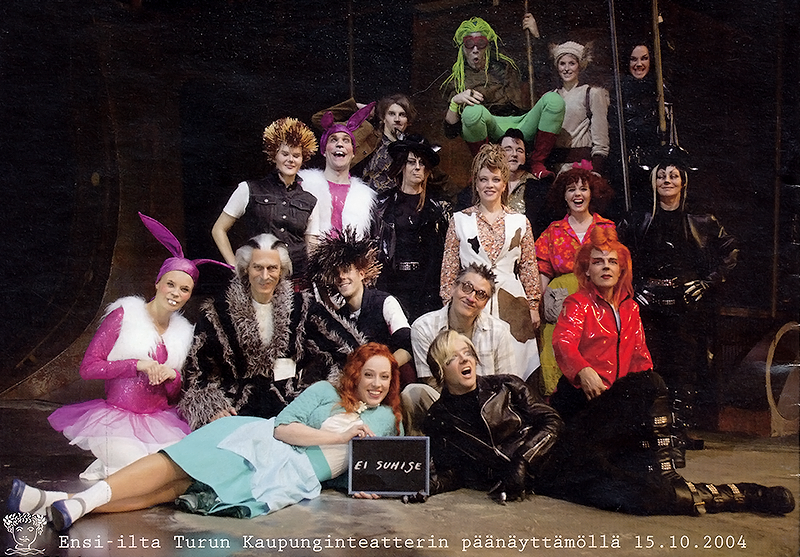 The first Finnish musical I ever loved. After the international magic of Mamma Mia!, I was certain no Finnish theatre could ever produce a musical half as good... But when my mom suggested I should see some more theatre and I chose to see Cats – as I put it earlier, I wasn't sitting in my seat like so many others in the audience. I was flying. Seeing the shiniest of the huge spectacle musicals for the first time was a very exciting experience. It felt like such a perfect show, I enjoyed every second, and the story continued to fascinate me for weeks afterwards. 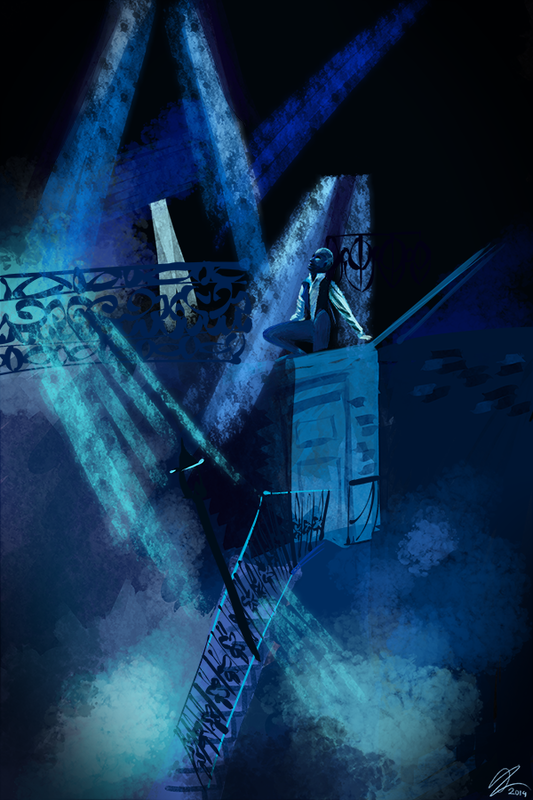 I still see Phantom whenever I'm in London and enjoy the smoke and mirrors every time. I got a couple of chances to meet the actors. I'll be an honest fangirl now – that was so exciting and awesome! I'm still grateful for the people who made that happen. It was so important to me... And maybe to some of them, too? 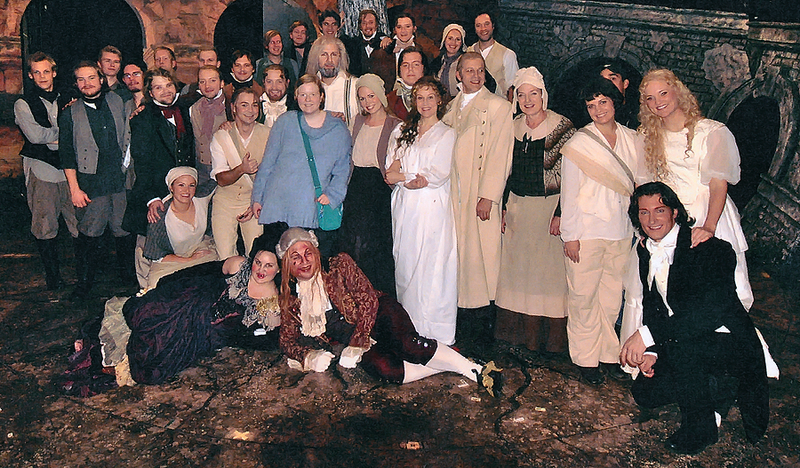 I'll quote a comment one of the cast members left on my blog: Your devotion to the show made our nights at the theatre more important, and even more special than you think. I'm sure all of you who've ever been big fans of something understand what hearing that meant to me. Still does. And then, most importantly, this production brought me together with so many new friends. I don't know if I would even know some of my current best friends if Åbo Svenska Teater hadn't decided to stage Les Mis. No contest, this is the most important production of them all for me. Another show that brought me together with many new friends. The mood in the theatre, both onstage and in the audience, was incredible. I've never experienced anything like that elsewhere. The audience absolutely loved the show (chances were that whoever sat next to you was seeing the show for the fourth time too), and for all I know, the cast really loved performing it... It was amazing. The show's run was cut too short, but the legacy of the Finnish vampires goes on. There have been fan meetups and concerts with the cast members ever since, and more are coming up this fall. Vampires truely live forever! Hearing Maria Ylipää sing Du måste finnas made me cry harder than anything I've seen onstage, before or since. I felt shaken after seeing this. A really powerful experience. This show was a true treat for my imagination. It has made me wonder about the pasts and the futures of the characters more than any other piece of theatre. I can think about this show, come up with new scenarios for the characters, and discuss them with likeminded friends for hours and with endless passion. I also really enjoy drawing Jekyll & Hyde scenes. It's great when theatre inspires you to create some art of your own! Not to mention that this was such a fantastic show that if I could travel back in time, seeing this one more time would be one of my destinations. For me, a huge experience and as perfect a musical production as they're going to get. Photos: Turun kaupunginteatteri, Lahden kaupunginteatteri, Ari Ijäs. As always, hover over the pictures for specific info. P.S. If you haven't written a list already, please do, and feel free to leave a link in the comments! These lists are really interesting to read. Fellow Finns, take a look at Katri's blog for a list of bloggers who've taken up this challenge. A great list! I noticedmany musicals creeped on my list too and Jekyll & Hyde was definitely one of them, such a topnotch production. I am slightly jealous for you seeing Cats in Lahti since I've heard so many good things about it. And Tanz der Vampire keeps popping up too, I have to see it sometime if the chance arrives. Thank you for your list, super!